Across six large states, the rivers of the Great Plains transition to the corn belt of Nebraska and Iowa. 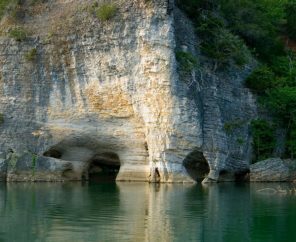 Streams linking prairie-pothole wetlands of the Dakotas typify the north, while to the south Missouri’s limestone-based spring-flows create one of America’s most treasured riverscapes. Though not as revered for natural waters as other regions, the Midwest and Great Plains have their share of special streams. The Little Missouri is a northern plains lifeline where visitors can watch buffalo grazing its shores in Theodore Roosevelt National Park. The White River cuts the stunning badlands of South Dakota. 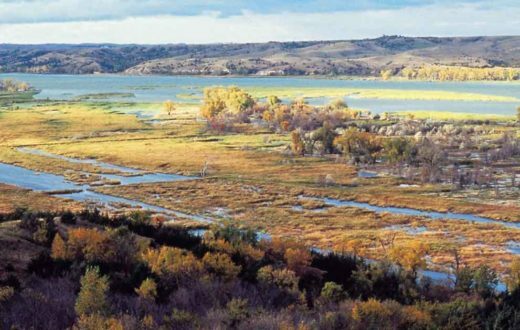 The Niobrara—queen river of the plains—drifts 300 miles through wave-like sand hills and onward to the Missouri. The “Big Muddy,” endowed by Rocky Mountain runoff, is the longest river in America, heavily dammed but with a few sections still flowing free. In Missouri, the Current River was protected as a National Riverway—a distinguished prototype to other protection measures that followed on rivers nationwide. 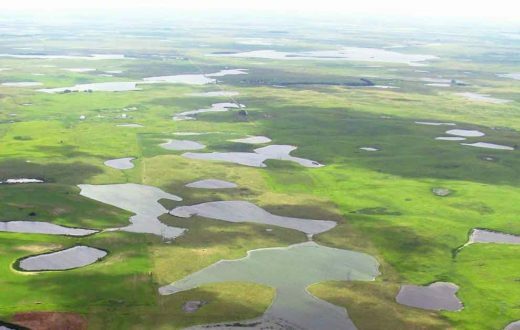 The Niobrara would have been dammed if ranchers and American Rivers had not united to halt an irrigation reservoir that dubiously promised to irrigate less ranchland than it would have flooded. The mighty Mississippi River is especially rich in historical, cultural, ecological and economic significance. The Mississippi River is a globally important flyway for 60 percent of all North American birds including golden eagles from the arctic and pelicans from the Gulf of Mexico. The region supplies 92 percent of the nation’s farm exports, and produces $54 billion worth of agricultural products annually. Paddling, bird-watching, fishing and other eco-tourism draws visitors from near and far to support 143,000 jobs and generate $6.6 billion in annual revenue. This region’s streams deserve a renewed commitment from all who realize that the future of this region – stressed by increasingly severe floods and drought – depends on healthy rivers. 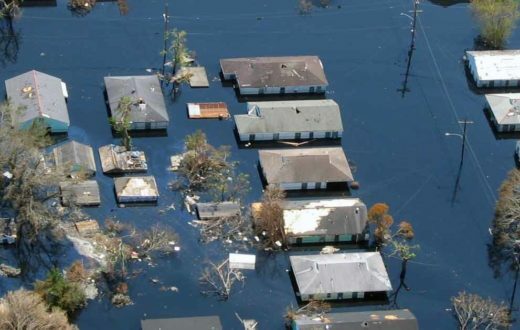 For decades American Rivers has a played a lead role in advocating for improved river, dam and flood management in the region. We led a multi-year fight to reform federal dam operations on the Missouri River to restore habitat for endangered fish and wildlife and to improve river recreation opportunities. Along the Mississippi River and elsewhere we have battled costly, harmful and short-sighted U.S. Army Corps of Engineers projects, and we have pushed for river restoration and smarter use of taxpayer dollars. Today, American Rivers leads the Nicollet Island Coalition, which works to protect and restore the Upper Mississippi River by advocating for reforms to the navigation system. 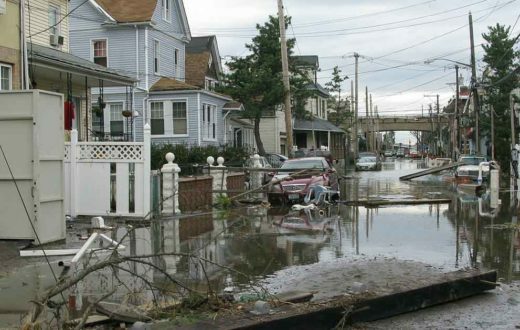 The Upper Mississippi is a priority river basin for American Rivers, and we are working to improve flood protection policies to improve public safety and safeguard the health of the region’s rivers.